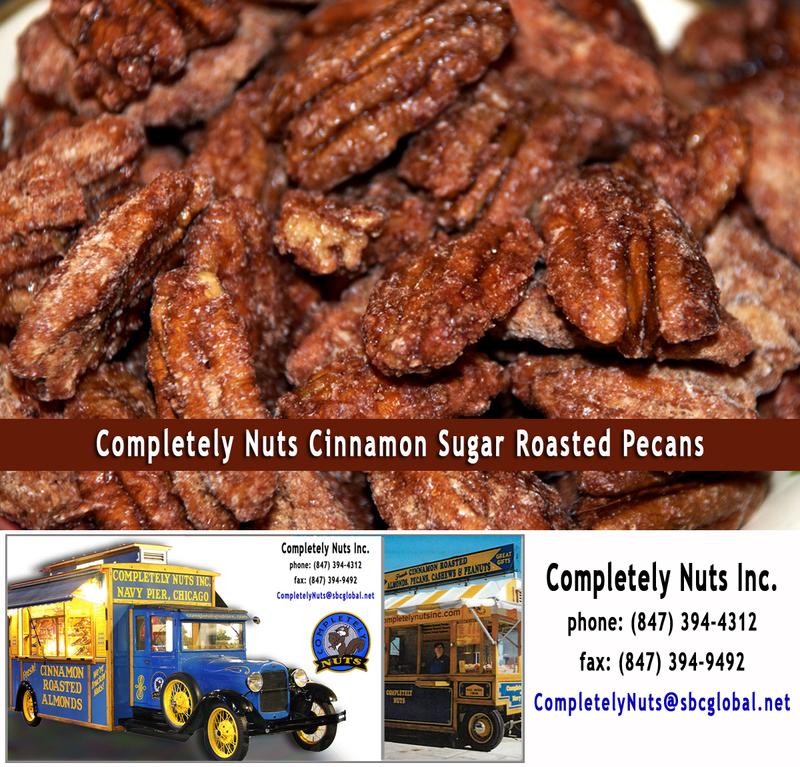 Welcome to our Completely Nuts website please check out our line of Cinnamon Roasted Nuts. 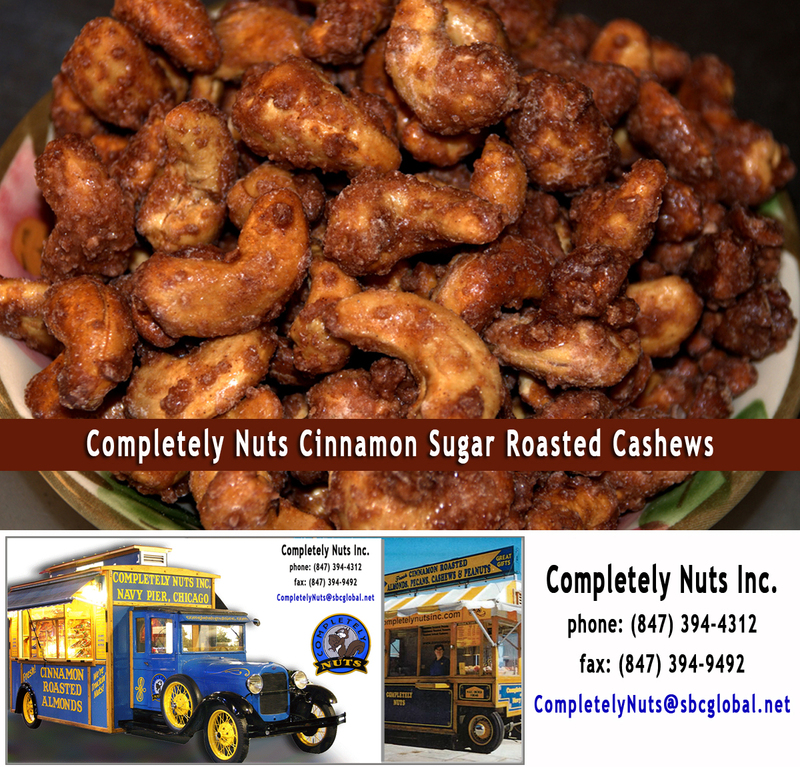 This Product Line Is A Chicago Favorite Cinnamon Roasted Nuts, Almonds, Cashews, Pecans & Peanuts We roast our delicious Cinnamon Almonds, Cashews, Pecans and Peanuts to ensure freshness in each order. 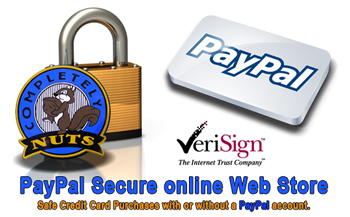 Each batch is roasted to perfection in copper kettles using sugar fresh ground cinnamon, and vanilla. No oils or preservatives are used in our cooking process, ensuring the best products and gourmet flavor that you know us for! 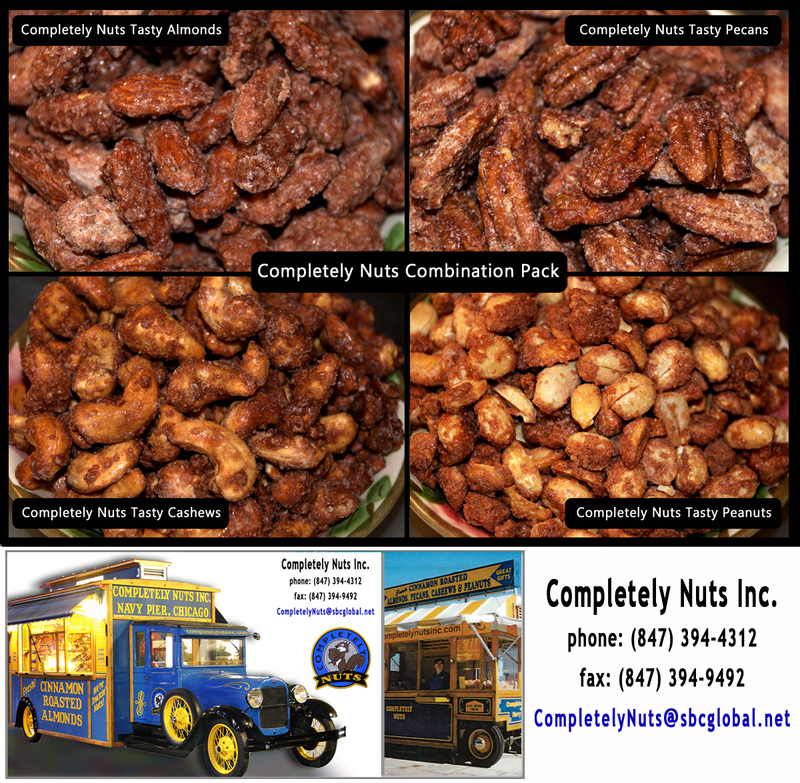 Completely Nuts Inc, opened in 1991, with just a roaster at a local fair. 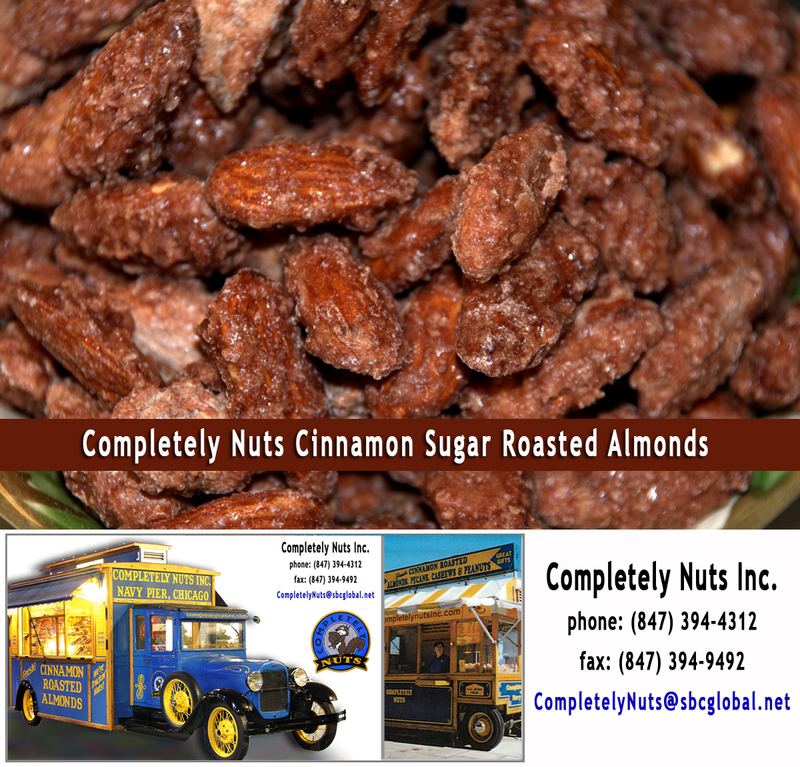 To ensure freshness we roast our delicious Cinnamon Almonds, Cashews, Pecans & Peanuts daily. Each batch is roasted to perfection in copper kettles using sugar fresh ground cinnamon, and vanilla. 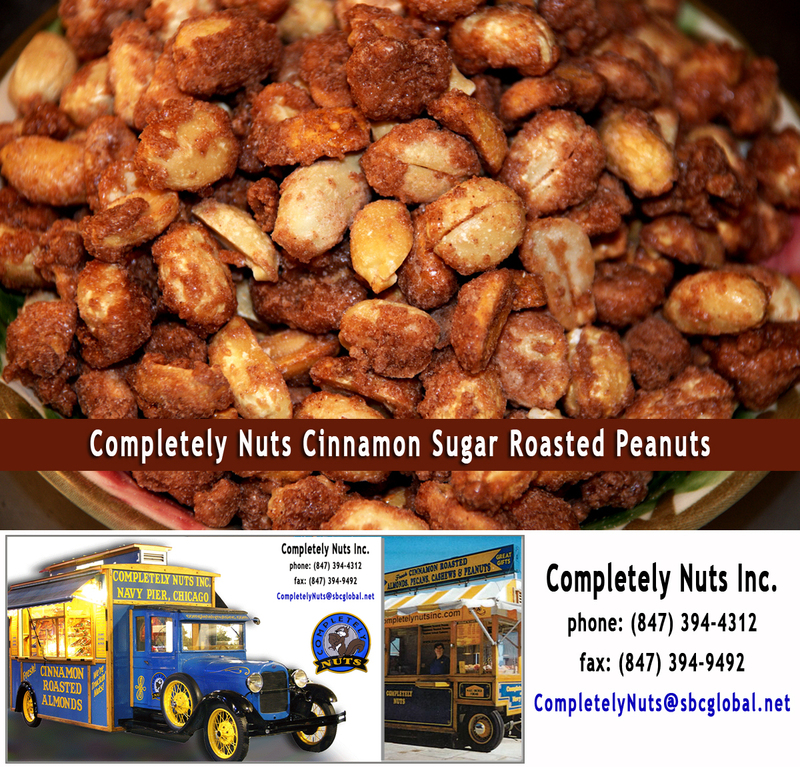 Copyright © 2017 Completely Nuts Inc. All Right Reserved.